The lying machine of Turkey has become an enterprise that is almost impossible to answer. 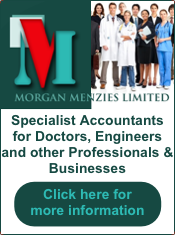 It is enormous, professional and highly experienced. The conspirators theories against the Jews, Kurds, Armenians, Europe and all the “others” are not just polemics, but rather a method of work, a consciously chosen method, aimed primarily to portray Turkey as the victim and criminalize the other/s. Turkey is a world champion in distorting truths. The last 91 years of Turkey’s history is full of these allegations. In just the last few days we hear dozens of different speeches, explanations and declarations from the President, Prime Minister, Minister, other officials nad even from “journalists” who are really doing no more than repeating the state´s official ideology. Right now the Turkish focus is on Kurdistan, and particularly Kobani. Everybody knows about Turkey’s stand toward Kobani. In the last two years Turkey has imposed all kinds of boycotts on this Kurdish Kobani in Northern Syria (in Kurdish Rojawa/ Western Kurdistan) and the other two Kurdish cantons. The reason is that Turkey doesn’t want to have a sovereign or semi-sovereign Kurdish entity around itself. Therefore Turkey has chosen to fight these Kurdish cantons by every means. For instance, economic boycott, prohibiting the transfer/ transportation of goods and individuals (even though all of the Kurdish population in these cantons are relatives of those Kurds who ended up in Turkey after the redrawing of the borders after WW1), political boycott and conscious isolation of the Kurdish question, especially by not allowing Kurds to reach the West and the democratic public opinion. From the first days of February 2011, Turkey has done everything to not let the Kurds play a fair role in the Syrian opposition. Turkey has gathered all the various opposition groups in Ankara or in Istanbul, given extra privileges to Islamic groups and forced its own agenda on them – for instance, to not accept Kurds as “Kurds”. Turkey has not only given support to all the Islamic groups, especially ISIS/ IS and Jabhat Alnusre, but it also bonded them to its own intelligence apparatus, MIT. The failure of the secular forces to unite and to gain more ground cannot be explained only by their unwillingness and inability to fight the regime. The Turks have detailed information about all the opposition groups and have had the opportunity to play them as it pleased. The most important point in this game for Turkey was to weaken the secular groups simply because, despite hard cores among them, they are much more understanding of the Kurdish question. The opposition issue for Turkey is indeed about its Kurdish question which has been without a solution for the last 91 years. Turkey knows that it must, sooner or later, give a proper answer to the Kurdish question at home. Therefore any kind of Kurdish free entities around Turkey will weaken the Turkish stance against KCK/ PKK. Turkey chose for this reason to insist on its line of enmity, even though it has caused discord with NATO, the US, the International Community and with humanity. It is a shame for democracies that, in front of a member of NATO, a city gets slaughtered by the barbaric, dark forces of Islamic extremism just because they are Kurds. Consequently the West had to act. There was no other way. What we see is not just a war against Kurdish identity and against non-Islamic Kurdish religions, but also against the achievements of mankind. Turkey has so far failed to give a single factual argument about why it has been so negative towards Kurds in Syria. There must be a rational explanation. For a country such as Turkey that wants to be a member of the EU and is already a member of NATO and has a desire for neo-Ottoman conquests, it shouldn’t be hard to point to where it hurts. For Turkey to suddenly blame all its enmity towards everyone in the area on the PYD, which shares the same ideology as the PKK, is risible. There are more than a dozen well-functioning Kurdish political parties in that part of Kurdistan/ Rojawa. The PYD is only one of them, albeit a strong, disciplined and well-organized political party. There will always be Kurdish individuals and political parties which, for various reasons, are not approved of by the Turks. Kurdish people can’t forever dance to the Turkish pipe. This Turkish dream never comes true. Erdoğan declared on September 27th in a sarcastic manner that “Kobane is about to fall”, while standing along with his wife and MIT and military officials, all of them wearing dark sunglasses in a rather comic, way as if playing a “War-game”. Erdoğan thought he had made sure that the city “will fall”. One can wonder why all this Turkish joy and anticipation to see Kobani’s fall. It is a tragedy, but at the same time a Turkish political illness which does everything to halt Kurdish achievements. History tells us that Turkish enmity against Kurdish people in Turkey started 91 years ago on October 29th, 1923 when Turkey was born out of the civil and colonial wars. Since then we can see many atrocities and genocides against Assyrians, Armenians, Laz, Cherkes, Kurds and others in this new Turkey . The PKK and Mr. Ocalan have been stretching out the hand of peace to Turkey and seeking to solve the issue politically and peacefully, at least since the 1990s, long before the capture of Mr. Ocalan. But Turkey wants Kurds to totally surrender, accept humiliation and die out. This, of course, is impossible. The Kurds fought for their freedom when they only had their mountains as friends; now the friends of Kurds are many and the Kurds are organized, have an army for self-defense and a good political structure to move forward. The KCK/ PKK has every right to not trust Turkey simply because Turkey is doing nothing to solve the Kurdish question. And most of its talk about the so-called “Peace process” is really a psychological war to victimize the Kurdish people and their movement, to find a way to split Kurds, cause confusing polemic among Kurds, demoralize and weaken Kurds, and so on. For the KCK/ PKK, Kobani was a great test for Turkey. If the Turks had the slightest desire to solve the Kurdish question in Turkey, they wouldn’t have hesitated for one second to help other Kurds, especially in Kobani, which was under a brutal and barbaric Islamic attack. It was a great test. The Turks lost. As a matter of fact, almost all of them, from Erdoğan to Davutoğlu and others, started to contradict themselves and contradict each other again and again. Nobody understands the Turks any more. These FSA people coming from Turkey are unknown individuals. They have been raised and trained by MIT and it’s not clear if they have connections with ISIS and Jabhat Alnusre or other Islamic groups. Therefore they could be rather a burden than a help, not just on Kurds but on all Syrians. Almost all of them, those coming from the Erdoğan-Davutoğlu doctrine house, are anti-American, anti-Jew, anti-West, anti-Kurd, acting as a branch of Turkish paramilitary forces and almost none of them believe in a secularist constitutional state. And they are really a stranger to the Kurdistan area: they are a stranger to the terrain, and therefore would hardly be able to put up significant resistance. The West should instead let the PYD contact the FSA and put selected fighters through an intelligence filter, ensuring that they are secular, progressive, pluralist, respect gender equality and are democratic-minded and understanding of the political struggle against Bashar El Assad. These qualities can be checked and monitored by the PYD. Kurdistan can be a platform for the FSA. They have to move out of Ankara and Istanbul. Turkey has failed to be a friend of Syria. The YPG and YPJ forces need more logistics, weapons and ammunitions. People need food and medicine even though they are not asking for it. These people have been fighting for almost 40 days. The West can build an airport in the Rojawa/Kurdistan area of Syria, for instance around Kobani, in order to speed up the process. An airport in Rojawa Kurdistan can provide the Arabic part of Syria with various supplies and then thousands of refugees can come back home. Right now the Turks are making a never-ending business from the Syrians’ suffering. The West and the International Community must act decisively and quickly. As long Syria’s future is in Turkish hands, nothing positive will happen. Save the Syrians and the Kurds! Taking the PKK off the terrorism list is a good step forward. The PKK can contribute to the process if its hands are not tied by unnecessary measures and calculations. The PKK and Kurdish people deserve a chance, but also respect and support. 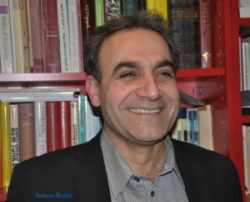 Rebwar Rashed has a Ph.D. degree in Political Science. He has translated several books into Kurdish and also written many articles in Kurdish and English about the Kurdistan National Liberation Movement, human rights, anti-Semitism, equality between the sexes and ethnicities, and the need for a democratic and peaceful struggle. The year 1923 was so decisive because then the Turkish state ideology was shaped: in the new Turkey religious non-Sunni minorities were suppressed, ethnic minorities did not exist at all, Kurds were promoted to the status of “mountain Turks”. In this respect the new Turkey was stricter and less tolerate than the old Ottoman Empire. As Nazi Germany created “The Jewish Problem”, Turkey nowadays has structurally decided to have “The Kurdish Problem”, but there is some hope for the future, now that Kurds finally have lost their denomination “mountain Turks” in at least Turkish newspapers. In the Ottoman Empire the borders between the vilayets were not so strict that Kurdish family members couldn´t visit each other, but this was not possible any more in the new, by England and France constructed and/or dominated, geographical entities Turkey, Iran, Iraq, Syria, Libanon and Palestine. Still world powers which meant something at the time, they didn’t allow an independent Kurdish state in Iran, and had the rest of Kurdistan divided up between Turkey, Iraq and Syria, now all states which once were solely “created” on the basis of the presence of oil fields in the area to use by France and England. Originally Clemenceau, Lloyd George and Wilson had decided already in 1919 that the Kurds in East Anatolia would get an independent state, but The Treaty of Sèvres on the matter which had been signed by Turkey two years later was recalled by the Western countries involved: “Without East Anatolia Turkey would be too small a state”, Atatürk convincingly told their leaders. Dear Rebwar, put your hope in the realistic Americans. Rojava is a democratic republic, but never trust the democracies of Europe and do also realize that Turkey does now have a real problem because it feels itself everywhere surrounded by Kurds to whom an independent state Kurdistan was denied by the West in the first place: the existence of Kurdistan is a problem of the West, and should not be that of Turkey, just another victim of its own ambition in 1923. When some 100 years later than 2014 both Turkey and Kurdistan will be members of their common West Asian Union together with Aleppo, Libanon, Palestine and Israël, peace and prosperity will reign in Western Asia. Amen. Given the circumstances, I understand all your misgivings and anxieties. But the political system in “West democracies” is relatively changeable, reformable and practices openness and tolerance… etc. An excellent article , gives me an insight into what I believe to be true that Turkey is playing the role of a spoilt child always throwing their toys out of their cot. I am sure that the western world now gets to see what is really going on here , shame on the liars.